This podcast is not so much about discovering your purpose but more about what to do after you’ve discovered your purpose and how to keep those flames of purpose passion burning. 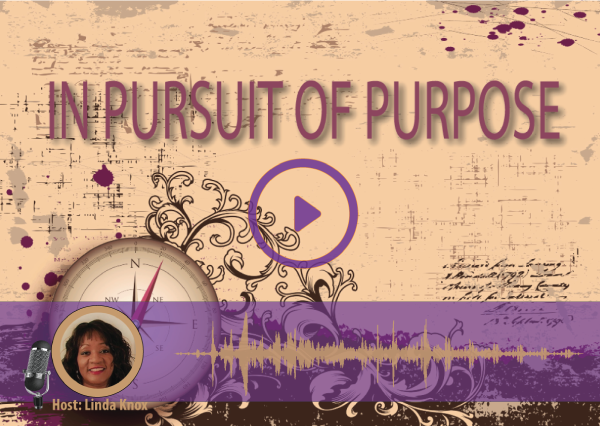 I am giving the title of this session “In Pursuit of Purpose” and when I say “In Pursuit of Purpose” I don’t mean; trying to find your purpose but rather; now that you know your purpose how to pursue it, chase it, track it down and stay the course. I believe that we are all created for a specific purpose and somebody out there may even have several main things that they were called and gifted to do in life. Some people discover their purpose early in life and others don’t tap into it until later and some even later still. Everyone has their own story or testimony as to when the light bulb turned on and they had that AHA moment once they knew what they were put on this earth to do. If you are still a little hazy about what you are called to do and what your purpose is in life then there are two things that you should consider. Number one; what do you love doing? Number two; what are you good at doing? It didn’t take me long to discover what I was called to do. At the time really didn’t recognize it as a calling, gift or purpose, it was just something that I like to do. I was in high school and took my first radio TV, communications classes and I fell in love with it. I followed a friend of mine out to Ohio University; little did I know that that school rated pretty high in communications and that became my major. You’ll have to listen to the introductory podcast to get the rest of my story. Most of the times we can get a pretty good idea about what we are called to do by examining what we love doing. You probably heard this before; what is it that you love to do so much that you would do it for free? I’ve heard testimonies of people who have said that they can’t believe that they’re getting paid for something that they really love doing. So that’s one clue to finding out what your purpose is; doing what you love to do. 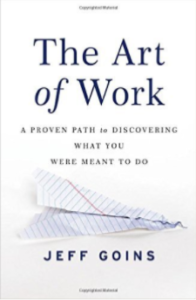 Another clue in discovering your purpose is taking a look at what you are good at doing. What are you good at doing? I enjoy watching cooking shows on TV and on sites like YouTube. I watch those people on shows like “Chopped” and “Beat Bobby Flay” and “Iron Chef” and it is amazing to me that there are people in this world who not only love cooking but are experts in their craft. I never knew that there are people in this world who actually like cooking and are pros in cooking. I love to watch the shows but I am not a good cook. I would rather video type a someone while they are cooking and stick to something that I am better at. Some people just have out and out natural abilities; they can do things that come easy, and naturally. I love the Christian Jazz Artist Ben Tankard. I heard him give his testimony about how at an older age and by older I mean he wasn’t a little kid or teenager, he just sat down at a piano and began to play; and play very well. I am sure that you know of people who have gifts and talents that come so easy and natural to them. You yourself probably have several as well. This may be a clue as to what you were called to do and what your purpose is. There are several obstacles that keep getting in the way of my moving forward in to pursue my purpose that I want to talk about. No time…..little time…..poor time management, I don’t care what you want to call it; I never seem to have enough time to do everything that I want and need to do. 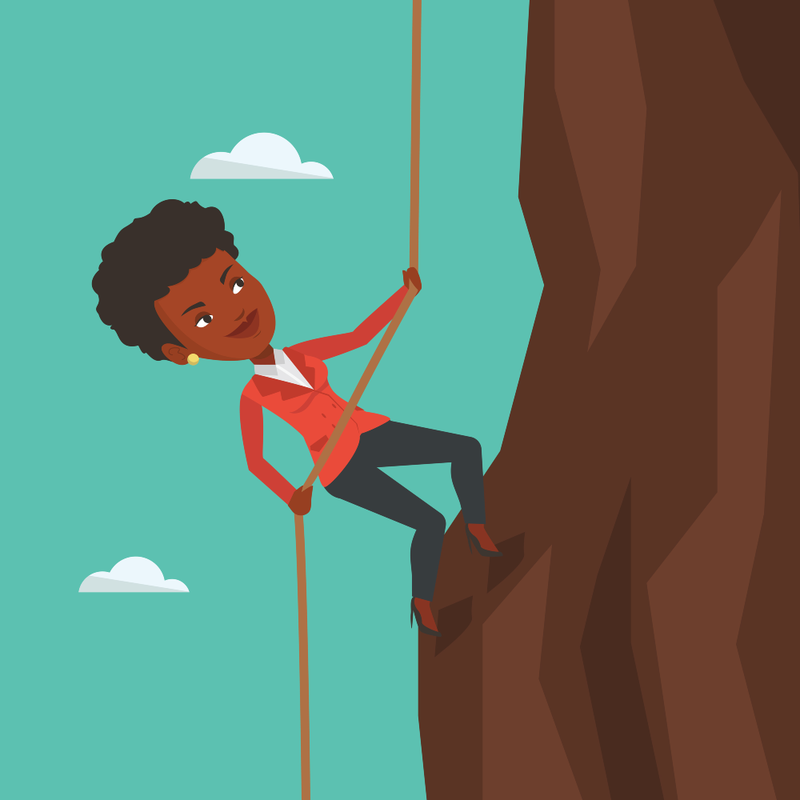 It is especially nerve racking when you know exactly what you need to be doing and when you don’t have any shortage of ideas; but no time to implement them. I love this quote by H. Jackson Brown. “Don’t say you don’t have enough time, You have exactly the same number of hours per day that were given to Helen Keller, Pasteur, Michelangelo, Mother Teresa, Leonardo da Vinci, Thomas Jefferson, and Albert Einstein. There is one thing that I implemented several years ago and when I work it; it works. I came up with the acronym M.O.V.E. principle; which stands for Minutes Of Visionary Energy. I know that if nothing else, no matter how busy my day gets, I can always take a few minutes to complete a task or goal. If you need to read a book then take a few minutes to read a few pages or listen to a few minutes of it in an audio book version. Want to write a book? Take a few minutes every day to work on it. I don’t know about you but when I think in terms of minutes a day as opposed to hours and days, it doesn’t seem to so taxing. When eating an elephant take one bit at a time! I don’t know about you but sometimes I lose interest and the passion for moving towards pursuing my purpose. You know how it is when you first discover something really nice. You are very energetic and enthusiastic but then over time you can lose steam. You feel like singing that BB King Song “The thrill is gone”! Who knows why this happens; it could be that you are just physically exhausted and worn out. Not getting the proper rest not only affects your physical body but your emotions and mental state. If I don’t get the proper rest and sleep, then I just don’t feel like doing much of anything the next day. And along with rest and sleep comes having the proper diet and exercise. This is also a major problem in my own personal life that I have to constantly work on. When I incorporate my MOVE (minutes of visionary energy) principle in with exercise it works out pretty well. I set my Fitbit and start out for what I think may be only a few minutes of walking and before you know it I will have walked for an hour. Another reason I think that I may lose enthusiasm is because I don’t keep refreshed and up to date about the things pertaining to my purpose. For example, I love podcasting, and listening to other podcasters help to keep me excited about podcasting. I also like to look at tutorials and read books centered on the very things that are important to making my purpose successful. I also like to revisit the goals and plans that I made and hopefully you drafted some type of plan as well. In session #002 on “Setting up a business”; I talked about drafting a brief business plan, nothing lengthy or elaborate but just something that will give you a snap shot of your strategy. When I read over some of the notes in my plan I tend to get re-ignited and excited about all of the things that I have accomplished and have yet to do. Another obstacle that can get in the way of you pursing your purpose is the lack of funds. Especially when you are just getting started, you may experience a low cash flow. There are times when we all need a little more money then we have on hand to pursue our purpose and then there are times when we have a little extra and then times when we have a lot. But more times than not when we are just starting out we are operating on what I like to call a “Shoe String Budget”. But you would be surprised to know what you can do on a shoe string budget. I’m amazed when I hear different people say that they had a budget of a thousand dollars a day or more to place on FaceBook Ads. Well guess what you don’t have to throw thousands of dollars a day at a Facebook AD (would be nice though if you could). Some people have lots of success by growing their audience organically through YouTube; Pinterest; LinkedIn etc. Do your research and find out how to grow organically. You don’t have to spend thousands of dollars on expensive electronics; especially when you are first starting out. You can produce pretty nice pictures and videos with your cell phone or by borrowing a friend or family member’s camera. I can go on and on about the many ways you can do what you need to do on a shoe string budget. One of the most inspiring stories that I have ever heard is the story about Chris Gardner. 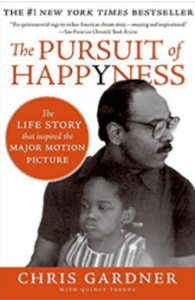 Some of you may not know that name but you may have seen the movie; called “In Pursuit of Happiness”. The role of the character in the movie was played by Will Smith and his real life son Jaden. Mr. Gardner faced divorce; unemployment; raising a young child as a single father; was homelessness; and still continued to pursue his purpose until he finally made it. If you’re feeling a little down and defeated I would suggest taking a look at that movie or reading the book….it is very inspiring. Another obstacle is the lack of support. If you are a Creative and/or an Entrepreneur; people can sometimes think that you are a little crazy. Creative’s and entrepreneurs are always dreaming and envisioning new ideas and drafting new plans. It’s hard to explain it but that’s just a part of our DNA. I talked earlier about gifts and passions and while we all dream and have vision; some people are especially gifted and wired for it. A creative is an artist. Not just a painter or musician or writer. She is someone who sees the world a little differently than others. A creative is an individual. He is unique, someone who doesn’t quite fit into any box. Some think of creatives as iconoclasts; others see them as rebels. Both are quite apt. A creative is a thought leader. He influences people not necessarily through personality but through his innate gifts and talents. A creative colors outside the lines. On purpose. In so doing, she shows the world a whole new picture they never would have otherwise seen. A creative breaks the rules. And as a result, he sets a new standard to follow. I would just like to point out how he says that they don’t fit into any box and they break the rules. I would also like to add that they are always creating and dreaming. It’s just how they’re wired but unfortunately the continual dreaming can be misunderstood. Those of you out there who are “dreamers / creative’s” know what I mean; you know that look that you get when you tell someone that you know that you have this great idea and they give you that look as if to say…..oh no……here we go again…….now what is he or she up to. It is hard for them to understand that this is how we’re wired. Again; I believe that we all dream and have visions but some of us dream excessively and are constantly coming up with some new idea. I say all of this to say that we should not get frustrated when others don’t chime in with the same type of enthusiasm when we tell them about our new venture. I believe that most people do support us (at least I pray that they do), but their passion may not be the same as yours as it pertains to what you are now doing……especially if this is the Umpteenth time that they are hearing about another one of your dreams. But it can be discouraging because you would like to have some type of feedback; any type of feedback; good or constructive criticism. When you don’t hear anything this can be misinterpreted as having lack of support. Can you imagine as an architect working hard on your plans and finally building a grand building and nobody not even the people that he built it for have a word to say about it? If the work was great or even if it was subpar; he would like to hear something……anything. I don’t believe that it’s not as bad as you think. The reality is; we live in a very noisy world; especially in the world of online and digital technology and everybody is trying to get in front of us for something; trying to get us to read something or watch some type of video. I also get tired of all the noise and clutter. Sometimes I think that if I see just one more advertisement or invite to a webinar I will scream. I know this sounds crazy coming from someone who also loves to market and promote ideas. I’m just trying to get you to look at the bigger picture; there is a lot of noise and clutter out there and we can’t take it personally if people; especially the people that you are trying to reach online don’t seem to be interested. The key to getting people’s attention is to first have good content and information and service that they people want and need and second to target your audience. Why should anyone who hates boating subscribe to a boating podcast show? Let’s not forget that social media platforms are primarily there for people to get together and hang out with their friends and family, to laugh and find out what’s going on in their lives not to be inundated with tons of marketing etc. As for me; when I read or see good content, I try to engage and encourage the presenter, whether I know them or not and if I really relate to what they are saying and need what they have I might even join their email list and join their Facebook group. But notice that I said if I really relate to what they are saying and/or need what they have. It would be nice to hear an encouraging word every now and then from a friend or family member but remember if you don’t hear anything, don’t take it personally. Now put the shoe on the other foot and ask yourself; how engaged are you or have you been when someone you know post an article or an Ad asking for your feedback or trying to get you to engage on their site. Do you engage? Do you respond all of the time? Think about it. My sister is my biggest cheerleader; she is always encouraging me with a text or a post or by sharing a post. I really do appreciate and love the support from her and everyone who has encouraged me on my journey; yet at the same time I really do understand if what I am sharing is not of interest to them. I just heard that Facebook has over 2 billion users. Well I am certain that out of those 2 billion users both you and I can find the people who need the value that we have to offer them. I love the testimony of a young man by the name of Christopher Johnson. I first saw this young man on an episode of Shark Tank. He was trying to make a pitch for his invention called the “Rapid Ramen Noodle Cooker”. You’ll have to read his full story to see how his shark tank venture it turned out. But I later heard him speaking on someone’s podcast and I can remember him talking about how he would present his cooker to various big box stores and they would say “no” to him. He said that he would politely retreat and tell his folks that the store decision makers really didn’t say “no” but what they really meant is “not now”. With every “no” that he got he would say to himself “it does not mean no…it means not now”. Well long story short; once his cooker began to soar sure enough the same decision makers who said no; came knocking on his door asking for a deal. So understand that no does not always mean no……it might just mean….not now. Those same people who may not need what you have to offer now…..might need it later. In the mean time; encourage and celebrate yourself; pat yourself on the back when you finish a book or when you finish posting a YouTube Video, or completing a dress that you sewed on your sewing machine or launched your online training course….etc……etc……throw your own party! You might be hearing crickets now but if you stick to it and continue to build it….they will come.